First off: I have to state without hesitation that this is the best planner EVER! I am somewhat of a planner addict, and although I don't share my planners (and stickers, pens, etc LOL) on social media much, I definitely have a thing for all things planner related. Needless to say, one that's specifically for Quilters is right up my alley! You get weekly and monthly pages for every month of the year with lots of little extra spots for goal trackers, sketches, lists and more. There are 15 Alison Glass designed coloring pages plus 4 pages of Alison Glass stickers for your planner (SO AWESOME!). A reference section in the back for cutting fabrics, calculating cutting measurements, etc. Tons of to-do list pages, gridded pages for sketching blocks or full quilts, Project Planning and Swap / Bee Block tracking pages.... just so much stuff! 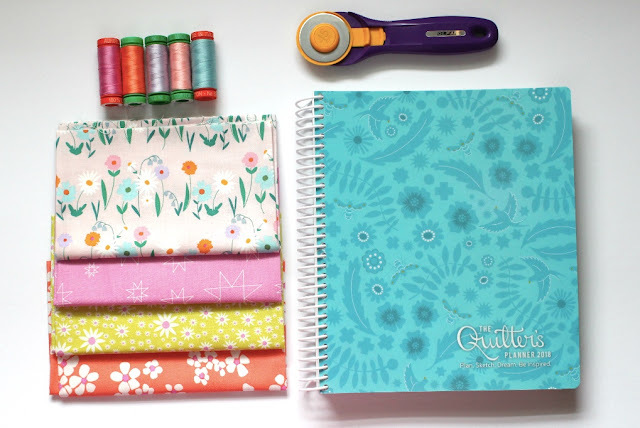 There is also a thick magazine that comes with the planner to accompany it which includes 13 quilting & sewing patterns. I really didn't understand just how awesome this planner was until I saw it in person. 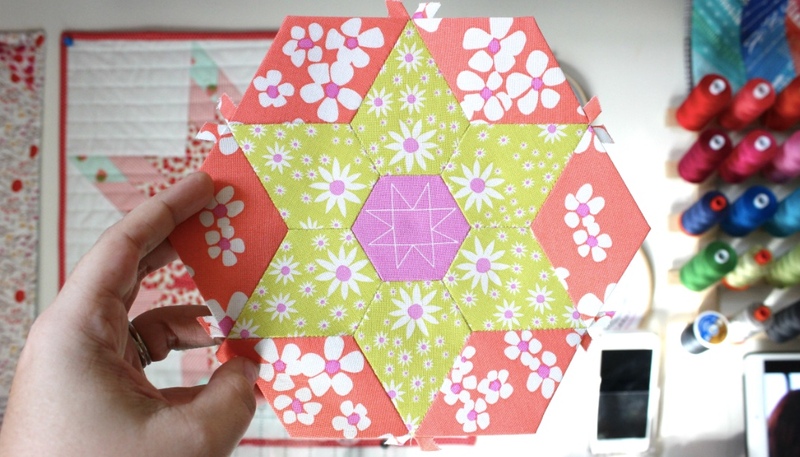 If you're someone who quilts or creates a lot - and especially someone who participates in swaps - this is such an amazing asset to have! I highly recommend buying one! For my planner I wanted to create a cute but classy looking cover. 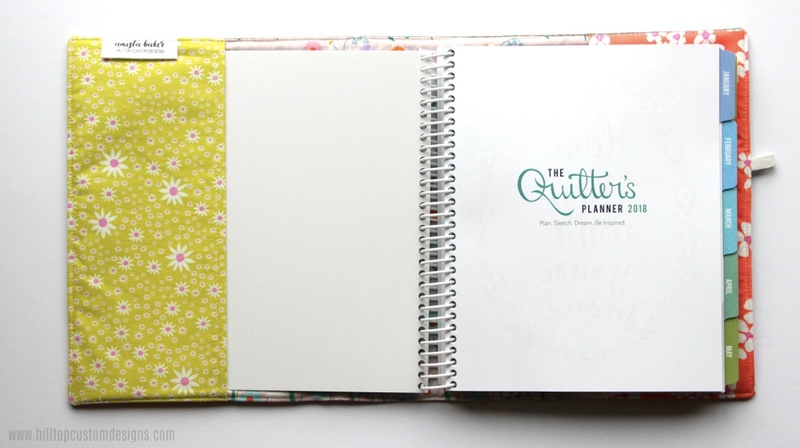 I used the free "45 Minute Planner Cover" PDF tutorial from the Quilter's Planner website and added my own flair. The EPP panel is the center hexagon block from a PaperPieces.com "Star Blossom" block kit which was gifted to be in a recent swap. 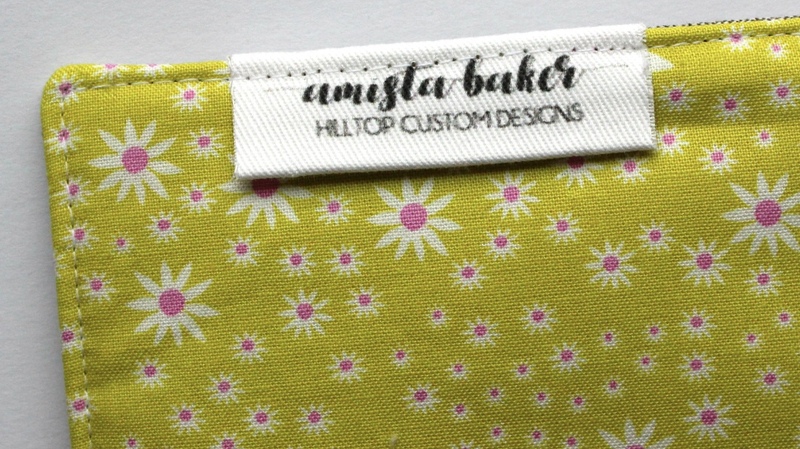 The fabrics are Daisy Chain by Annabel Wrigley. I am totally in love with this line right now. 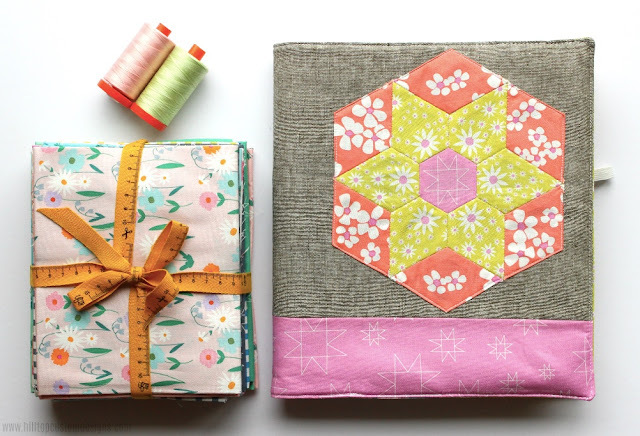 I have an extra fat quarter bundle set aside for a quilt (hopefully one day). 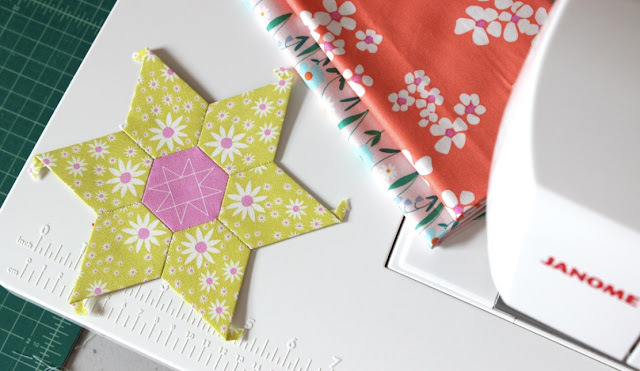 Essex Linen (background): 9" x 21"
Accent fabric (bottom strip): 3.5" x 21"
Use the 13 center EPP pieces from the Star Blossom block to baste and hand sew your large hexagon block. Piece accent fabric strip to the bottom of Essex linen background. Trim to 11.5" x 21"
Applique, or hand sew, your finished EPP block onto the front of your planner cover exterior placing it at least ½" from the top and 2-3" from the right side. Follow the free "45 Minute Planner Cover" PDF tutorial to complete your cover. If you make a planner cover like mine I'd love to see your finished creation! Feel free to tag me @amistabaker on Instagram. Thanks for reading! 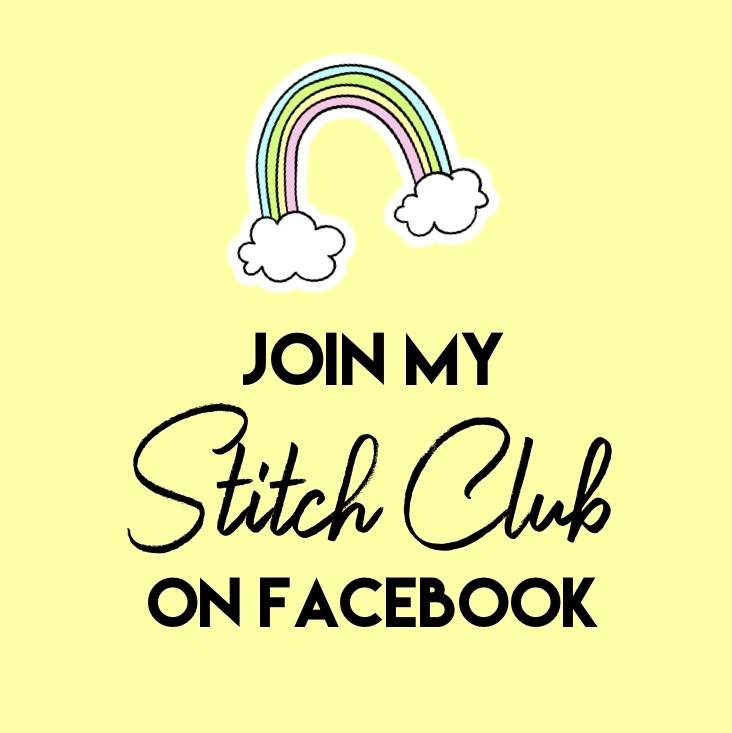 Have an awesome month, I'll see you again in early December for my turn on the Stitching Sewing Organizers Sew-A-Long! Maker's Birthday Bash: My Package!! This year is quickly coming to an end and so is the Maker's Birthday Bash I have been hosting all year long! We had a few hiccups along the way, a couple flakers and drop outs, the occasional late-sender, but all-in-all it has been a great swap. Ok, on to all the amazing stuff! As I said, I loved everything so much and have found a use for everything so far! There were also tons of little extras like candy, thread conditioner, quilting gloves, and more! The gift was amazing! And so I don't give *too much* away, below is a little sneak peek of my partners in-progress birthday package! I've still got a few more weeks to send it out and I'm making things as I go, but these are just a couple items I can show you :) I hope she will love it! I am finally finished with my April Showers Granny Square quilt blocks!! I have 36 blocks trimmed to 9" square and ready to have sashing added to them! This was my first time ever doing Granny Square blocks, I have loved them for a long time but I was a bit intimidated to try them out. 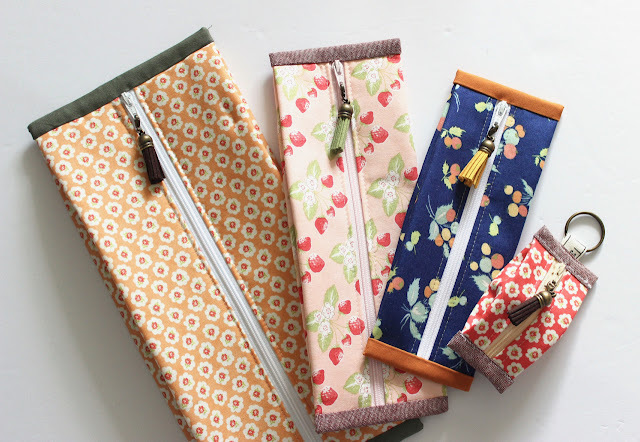 I've been collecting the April Showers fabric line by Bonnie & Camille (currently out of print) for several months, buying precuts here and there whenever I found them in online sales. Im thrilled to finally be able to use them! The top will feature all of my bright scrappy granny square blocks with a 4-patch border. I don't know that I'll finish this quilt this year, considering the holidays are quickly approaching and I have a blog hop, a swap and some gifts to make for family, but whenever I do get to it Im sure it will be lovely! I hope you like this little look at my quilt top progress! What are you currently working on? ?